This morning I tuned into my first ever Team in Training conference call. As part of their new FLEX team, all of our “meetings” are done over the phone. I listed to the father of our honoree, Shelby Batley, talk about his daughter. He told us about how, at age 3, she was acting unlike herself. Lethargic. Pale. His wife took her to the doctor, thinking maybe she had a virus. The doctors couldn’t find anything out of the ordinary, but ended up taking a blood sample. It was then he gave them the grim news: pack your bags and head to the children’s hospital. Shelby has cancer. As the mother of a 2 year old and a 4 year old I simply can. Not. FATHOM. I’d like to think that my faith in God, and the support of my amazing family and friends would help give me the the strength I would need to help my child fight…but my heart would shatter none the less. NO parent should have to experience this. No child should have to experience this. No grandparent, sibling, Aunt, Uncle, friend, partner…NO ONE. After hearing Shelby’s story this morning, and looking at my sweet little boys (sweet, as they covered my living room floor in toys while yelling that they were making “serious skyscrapers” out of legos…gotta love them!) I was even more sure of my decision to join Team in Training. We’ve GOT to find a cure. 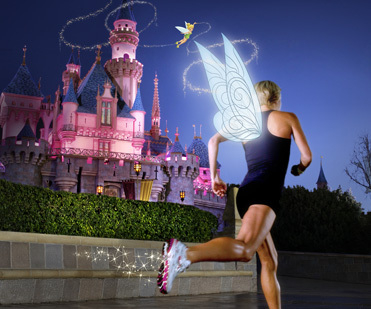 Every fairy needs some wings to carry her to that 13.1 finish line! Balancing Act Clothing has offered a custom “Tink” inspired wings shirt. 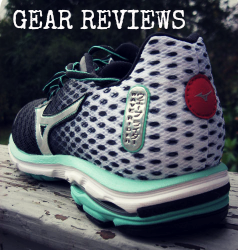 Balancing Act Clothing is unique clothing geared toward runners. Each shirt is screenprinted by hand in Alissa’s home, and made with LOVE!!! 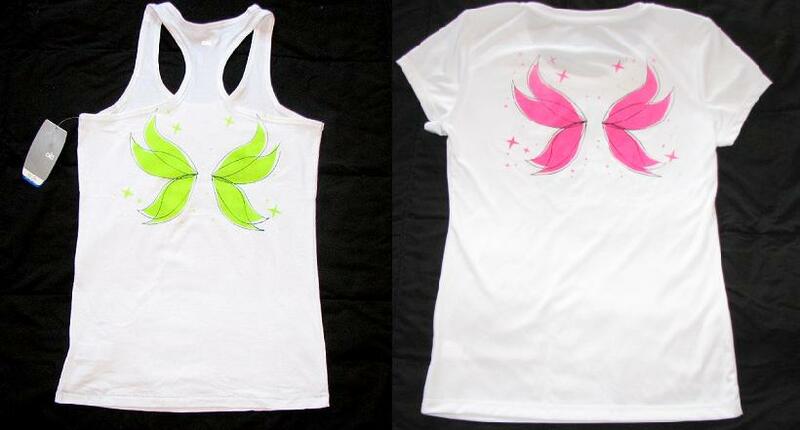 With pink or green wings, on sweat wicking performing tank or tee, and an inspirational saying such as “It’s not sweat, it’s Pixie dust” , “Find your wings and Fly” , “Never say Never”, and “Straight on Till Morning”, this shirt will make you feel like you are flying through training or on race day! Princesses run in tutus…but fairies sparkle with pixie dust skirts! 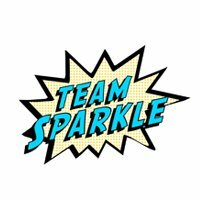 Team Sparkle (a rainbow of skirts with KAPOW!) has graciously offered the winner of this raffle a Sparkle Skirt in their size and color choice. 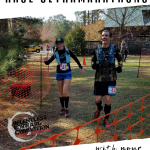 ﻿Made with fabric consisting of highly reflective 1/8″ circular “sequins” are set on a light-weight, semitransparent backing, with a 1″ elastic waist, you are guaranteed to stand out of the crowd and have excellent race day photos rocking your sparkle skirt! Running is hard work, and running fairies sweat. Err…sparkle. OK who are we kidding, it’s sweat. Keep that sweaty hair out of your face and look stylish at the same time with two B.I.C. (Because I Can) bands. Handmade, non slip bands. The magic lining of these little guys stick to your hair. And as an added bonus~ they’re soft and stretchy, working hard to not give you a headache! 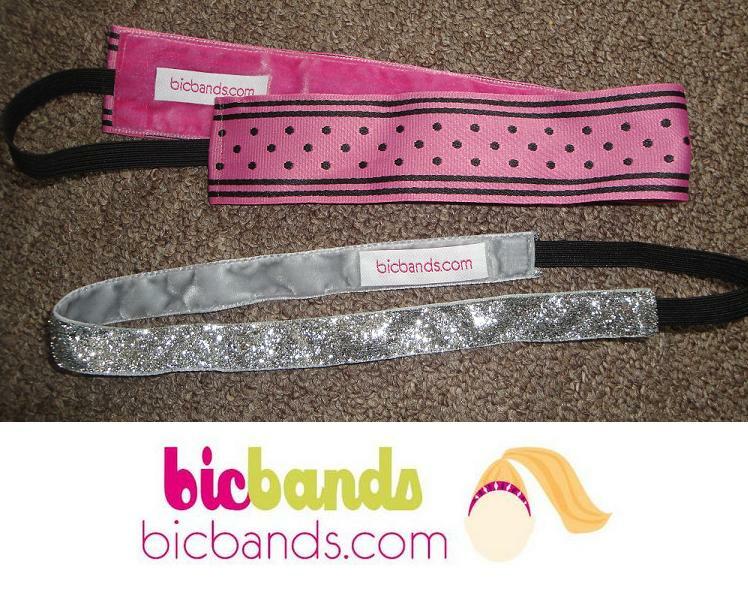 BIC Bands started as a fundraiser for TNT, and I’m so happy that they continue to support the cause! Winner of the raffle will receive a thick pink/black patterned BIC band, and a thin super sparkly silver BIC Band. While flying running, a pacing pixie (tempo tink?) must not worry about where to keep her cell phone, hotel key, all important (at Disney races especially) camera, or running fuel. The winner of this giveaway will receive an iFitness water resistant neoprene single pouch to keep their electronics safe and dry. 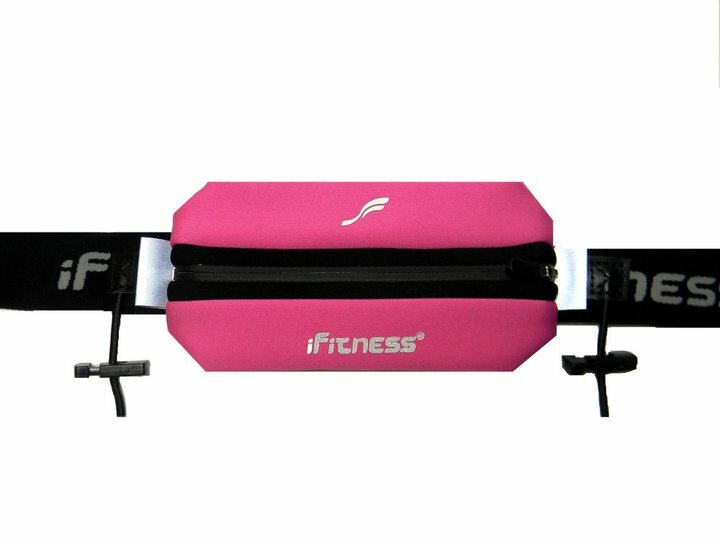 iFitness guarantees that their running belts will not bounce, chafe or ride up. This belt can fit any size phone AND 4 gel packs. A special inner pocket will keep your ID/credit cards (Disney hotel key!) securely. A reflector strip in the front and the back for your night time safety, and can be used as a race belt for your bib! No need to pin the numbers onto your adorable sparkle skirt ! Speaking of safety, you should NEVER LEAVE HOME WITHOUT AN ID!!! But, we don’t want to weigh our “wings” down with added bracelets on top of our ever important Garmin or watch now do we? With 1BandID safety is simplified and wearable athlete ID is unforgettable. 1BandID is the 1st and only athlete ID that securely attaches and displays critical contact and/or medical information to your watch, GPS or HR monitor wristband. 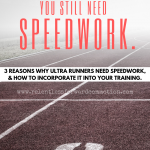 This helps simplify safety for triathletes/runners/cyclists/all active people. 1BandID is graciously providing a gift certificate to customize an ID for the winner of the giveaway! They are so new to the race scene that they aren’t even for sale yet. 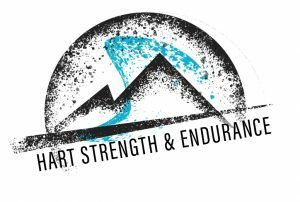 Be the first in your running group to rock one! to show you a hanger in action! And lastly, and in my opinion, most important, displaying that amazing medal you trained so hard for! DO NOT stuff your hard earned medal in a shoe box, in your sock drawer, or hang it on you lamp. No, no, you must share your accomplishment for the world to see on your Allied Running Medal Hanger! Allied Medal Displays are the ORIGINAL and BEST medal hangers on the market. Their quality and customer service are absolutely top notch. From custom displays to one of the prefabricated designs, you can not go wrong. All displays come with a mounting kit, installation instructions, a packing slip, and instructions for returning or exchanging products. The mounting kit includes #4×1” stainless steel screws, #4×1/4” plastic nylon wall spacers, and #4×15/16” drywall anchors. Allied Medal Displays has very generously offered up a hand full of medal displays towards my TNT fundraising efforts. 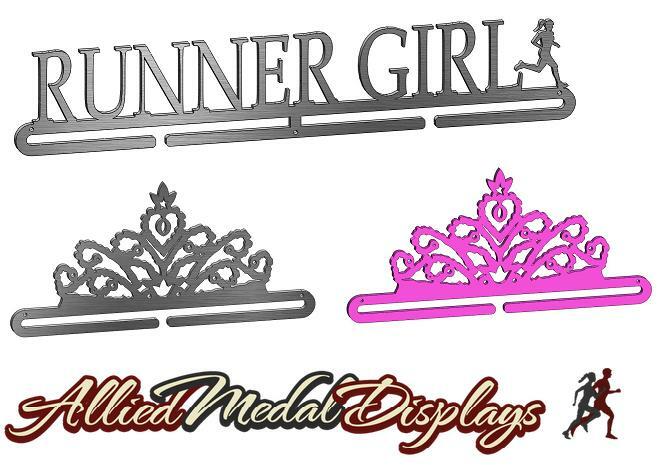 Therefore, the winner of this raffle will have FIRST DIBS on their choice of one of the following medal hangers: Large silver tiara, Large (hot!) 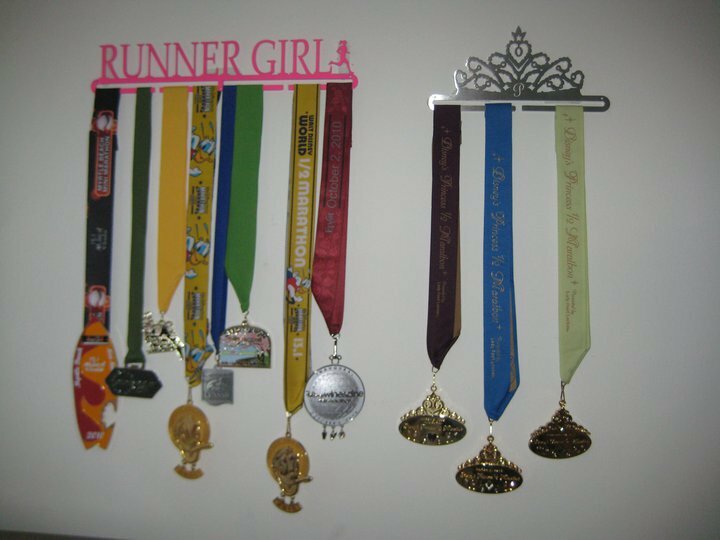 pink tiara, or “Runner girl” hanger. So, you want to win? First you have to do your good deed and buy a virtual raffle ticket! ****** for a donation of $25 – $99 , you receive matching entries per dollar donation!!! That’s right, for $25 you get 25 entries. For $38 you get 38 entries. And so on. Give generously and your chances will be greatly increased!!!!! ******For a donation of $100 or above, you get DOUBLE entries! $100 = 200 entries, $125 = 250 entries and so on. Share this giveaway! Twitter, facebook, your blog, dailymile, etc etc. Every time you share, leave a new comment and you will get an extra entry. This raffle will be active for 2.5 weeks. Entries will be accepted until midnight on August 31st, and winner will be announced September 1st. All “tickets” will be entered in order that they are received, and winner will be drawn by random.org and notified immediately, through email (if I can find you!) and on the blog. Remember, this is for a good cause! With your help, we can find cures and better treatments for leukemia, lymphoma, Hodgkin’s disease and myeloma, and help improve the quality of life for patients and their families as well. And maybe, one day, fundraisers for cancer will be a thing of the past! Shared on the Weightloss and Fitness Board at JustMommies.com! DONATED! Proud of you. As a 2 time cancer survivor, my wish is that this awful disease will be erased forever soon! 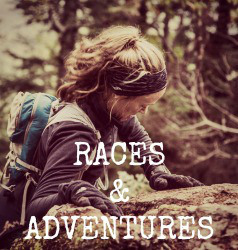 Shared on the women’s forum of Runners World! Just shared on my blog!! I especially like those skirts! They remind me of fairies and fairy tales. My Facebook friends got the word! Made a donation! Best of luck with your fundraising! That’s awesome what you are doing for that little girl! Keep up the good work and she is in our thoughts and prayers. You are an amazing woman. 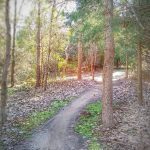 I posted a link on my blog sidebar. donated and posting on FB and DM now. Donated! What a great cause! Made a donation and shared on FB. Will try to share at work.. Donated again! And I just realized that I’ve been doing this with two seperate Google accounts. I’m the same as Sara B!